Lou Reed died yesterday. A lot of people are posting about him, about his music and his influence. There has been an outpouring of eloquent reminiscing and reflection about his challenging art. I can’t add much to the conversation. I’m afraid what I say will sound banal. He was great. I am grateful for his music. He meant a lot to me. I will miss him. He deserves more than those broad emotional abstractions. I was just a kid in the suburbs of Washington D.C. when I first heard of Lou Reed in the early 80’s. I missed the first third of his career. I’d never heard of the Velvet Underground. I’d never listened to any of his solo work from the 70’s. I came to Lou Reed through the Honda scooter television commercial that used his song, “Walk on the Wild Side.” That saxophone solo stuck in my head. I asked someone in school about it. That’s Lou Reed, she said. I didn’t know it then, but I was at the beginning of a long musical relationship, the soundtrack of which would weave itself into nearly every nook of my life for the next thirty years. The Lou Reed albums that I am drawn to are not his most popular. I appreciate the Velvet Underground, but those albums aren’t on permanent standby in my musical queue. 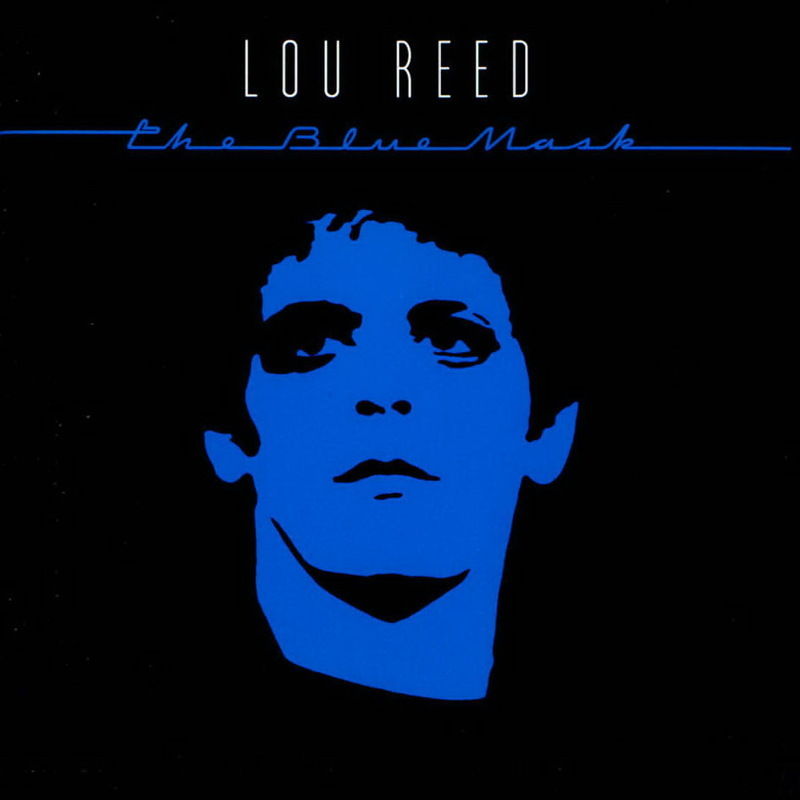 So many people are now writing about Rock N’ Roll Animal or Berlin or Transformer, but I’m more a fan of the mid-career Lou: Growing Up in Public, New Sensations, Legendary Hearts, Blue Mask, and New York. As a fan of Lou, I eventually bought all of his studio recordings (aside from Metal Machine Music and Lulu, the two Reed albums that I find unbearable) and grew to love the early and later work as well, but nothing struck me like the work he did in his late 30’s to early 50’s. Waves of Fear. Underneath the Bottle. The Power of Positive Drinking. Teach the Gifted Children. The Last Shot. Bottoming Out. New Sensations. High in the City. No Money Down. Dirty Blvd. Busload of Faith. Romeo Had Juliette. Hold On. Strawman–these songs now a part of my DNA. I get chills even thinking about the lines: And back at the Wilshire/Pedro sits there dreaming/he’s found a book on magic in a garbage can/He looks at the pictures and stares at the cracked ceiling “At the count of 3” he says, “I hope I can disappear”/And fly fly away, from this dirty boulevard. I must have listened to the New York album a thousand times. Every song a novel. Tough. Difficult to unpack. Raw. Honest. True to his own artistic choices. Maybe that’s why he continues to speak to me. Here’s a man in love with the sound of the guitar and the possibilities of noise and rhythm and rhyme and lyric explorations of lightness and darkness. He sings, sort of. He talks, growls, wavers in a strange, high falsetto. He tells stories. He risks failure on every album. I tell my students all the time that risk is at the heart of all artistic achievement and that the willingness to risk is the difference between the person who wants to be an artist and the person who is an artist. Risk makes art that is not easy. I saw Lou twice. The second time was on the New York tour. I went with my girlfriend and my best friend. My girlfriend did not like me drinking. Before the show, I went to buy a t-shirt and stopped at the bar and had two quick drinks. When I returned, she turned to me and said, “Please don’t drink any more tonight.” I said that I wouldn’t, but I was angry at a). being caught b). being called out on my drinking c). knowing I was doomed to listening to Lou without whatever looseness I thought booze brought and d). knowing she was right, that drinking instigated in me an undesirable personality change. Why is this important? I don’t know. I’m grateful now for that moment. I didn’t drink any more that night. I remember the concert. I think it was only later that I realized that Lou struggled with alcohol and addiction as well. Years later, when I was a few months away from sobering up, I’d drive around listening to The Blue Mask, rewinding the cassette and replaying “Waves of Fear” and “Underneath the Bottle” over and over. Lou Reed was the soundtrack of my drinking, bottoming out, and sobering up. He knew all the angles. New Sensations was sobering up music. The whole album. Every song, while being specific to Lou, to the story, felt like they were sung just for me. I’m sure every Lou fan felt something similar. Each album was like a new sensation. Sometimes, the sensation was baffling. What the hell is Lou Reed up to now? Every new album was an adventure, part of an ongoing conversation I was having with this artist I’d never met. That’s what true artists do, I guess. Make their art large but personal. Even when I had to approach the music from an oblique angle, Lou always invited me to the party. He was great. I am grateful for his music. He meant a lot to me. I will miss him. If that be the sole definition of a writer, then I’m very much a writer. Writing for me is wrestling with doubt. I’m not James Patterson, a man whom I would suspect spends very little time doubting when he sits down to write. There are dozens of popular writers that seem happy with their craft and with their work, but my path is and has been different. I wish I could be one of those writers–or even a writer that cranks out popular books that people actually want to read–but I cannot. That’s just the perils of my own artistic life. If I have a modicum of success in my writing life, it is because of my doubt. I write to banish the doubt, even if only for a moment. Through this back and forth, I find my path. This long book grabbed me very slowly. I didn’t feel for many pages that I would continue reading, but after maybe 200 pages I fell under its spell. The last 150 pages are quite beautiful and surprising and fulfilling in the way that only great novels can be, full of all the joy and heartbreak one could hope for. I feel as though I ought to begin again, to see what I missed. I finished it last night at eleven and find myself this morning still in that post-reading haze, still wanting to return to the last pages, wanting to continue the transmission line between the characters and myself that Zafon created. This is the reason I read–and supposedly the reason I write–to help foster that feeling again and again. That gets lost for me sometimes as I read books that have different sorts of pleasures. 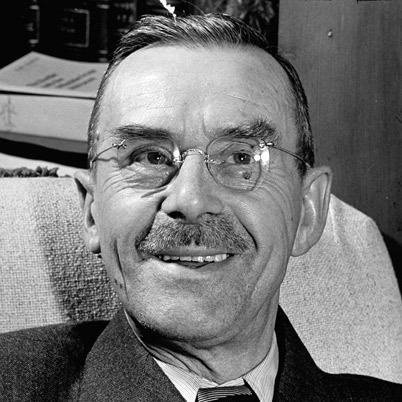 The pleasures of Faulkner, for example, are not the same. 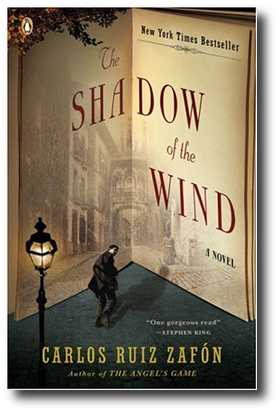 When I finished Absalom, Absalom, I was not overcome with waves of chills, did not I weep for the beauty of the language nor the lives of the characters, but when I finished The Shadow the Wind, I did both of those things. I will return to read more Faulkner, or Woolf, or Joyce, or Miller, or O’Connor, because the satisfactions of a full reading life require a magnificently large palette of writers, but at the same time, I am grateful to be reminded by Zafon of the sheer joy of reading and finishing a novel with a different sort of impact, one that provides an emotional uncorking often lost when I pursue literature for different reasons. Tonight, we went to see PILOBOLUS at the Music Hall in Portsmouth, New Hampshire. The first piece they performed was so beautiful, I found it difficult to breath for fear of missing some small gesture. Just minutes into the piece, I was struck with the desire to make better art. All summer, I wrote with joy. I filled my notebooks with a draft of a novel titled Once in a Lifetime. Since the semester started, I have not worked on the novel. It’s easy to say, “I’m busy” or “Grading papers zaps my creative energy,” but the real reason I feel despair over my writing is because I’m not writing. Watching the Pilobolus dancers reminded me that I’m just a half step away from that creative space at all times. Of course, this is something I can intellectualize, it is something that I tell my own students all the time, and it is something that all manner of wonderful folks remind of every day. But such things are difficult to remember, no matter how many times I walk this path. To feel joy about art, I must create; to feel joy about art, I must seek out good art. That’s what happened tonight. This photo is a still of Pilobolus’ opening number. Because mirrors played such a large part of the performance, and because the mirrors were so large, not only were the dancers reflected, but the theater itself, the wings, the lighting, the audience. The dance concerned: man, machine, motion, lyricism, the individual, the collective, solitude and community–but it also was about the dancers seeing themselves, the audience watching the dancers see themselves, the dancers seeing the audience watching them see themselves, and how that all worked together to unite nearly seven hundred people in one place at one time. Even thinking about it gives me chills. This beautiful art has made me want to make more of my own work. Of course, like all beautiful art, my own art is still in the non-beautiful phase. There is much work to be done. Better get busy. 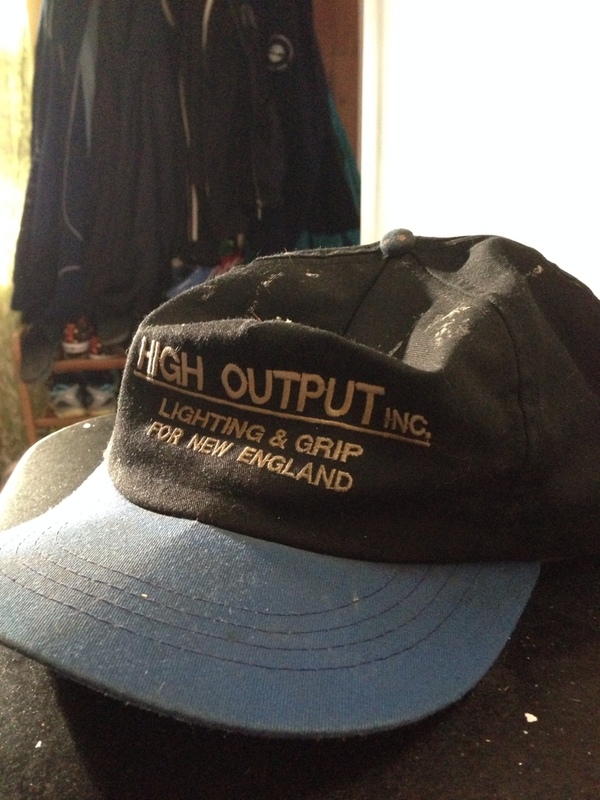 I had this High Output hat for nearly twenty years–since my theater tech days. It’s been my go-to work hat. Its plastic adjustment band finally broke. Thanks for your service, hat.